The Analyze-R™, model 2261A, is an affordable, easy-to-use, application specific Spectrum Monitor/Analyzer that addresses the 900 MHz & 2.4 GHz unlicensed ISM bands; the 3.4–3.6 GHz licensed/unlicensed bands; the 4.9 GHz Public Safety band; the unlicensed 5 GHz U-NII / ISM bands and the 5.8 GHz DSCR band. The Analyze-R™ is designed for non-technical personnel doing site spectrum monitoring and analysis, surveying, installing, maintaining, and troubleshooting of the latest wireless communication systems. 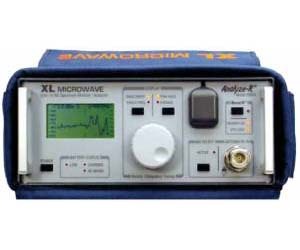 This unique instrument is designed for field use and is a fraction of the cost of a full-featured general-purpose spectrum analyzer, and far easier to use!